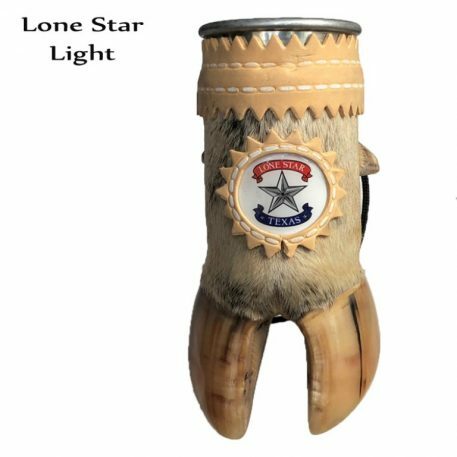 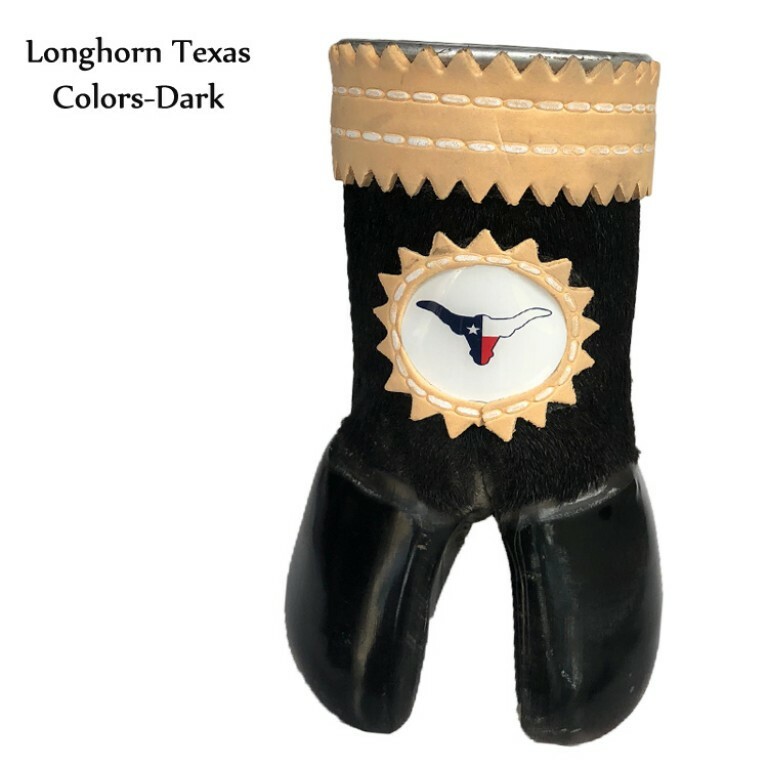 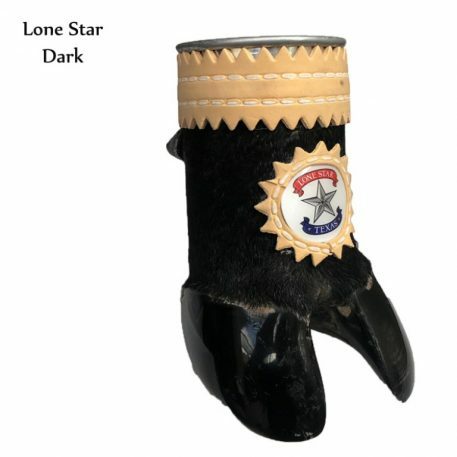 This unique Bull’s Hoof Beverage Holder makes the perfect gift! Use it to decorate the house, ranch, or to enjoy a few drinks with your loved ones. 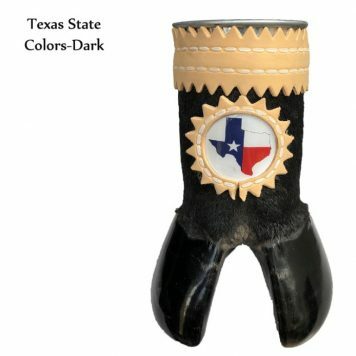 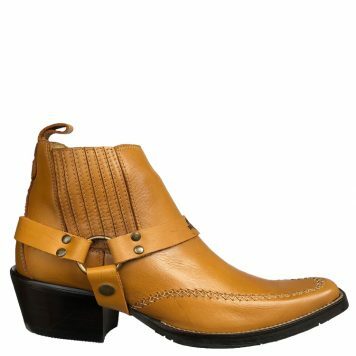 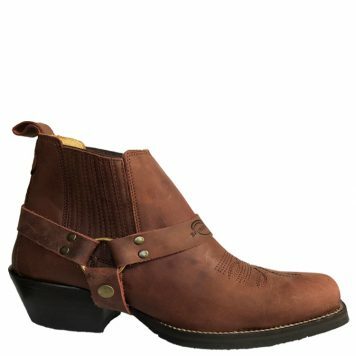 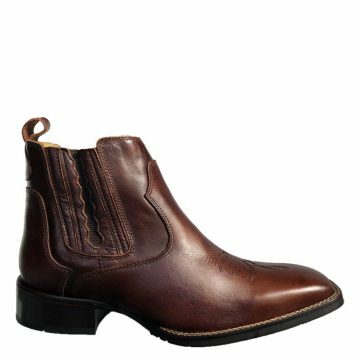 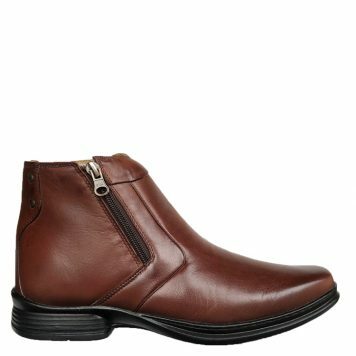 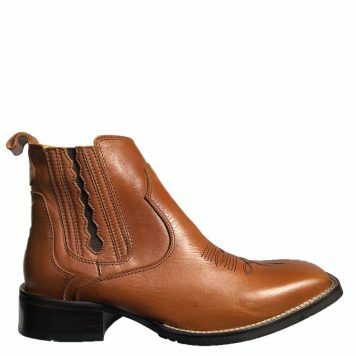 Tin cup inside with leather decor on outside along with real bull’s hoof for decoration on the bottom. 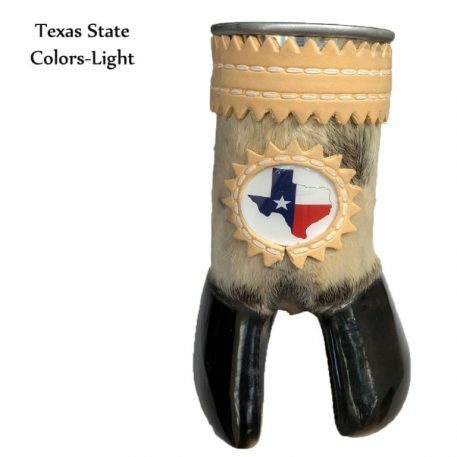 The cup is made to look like like a real bull’s leg. The cup stands on its own with support on the bottom of the bull’s hoof. 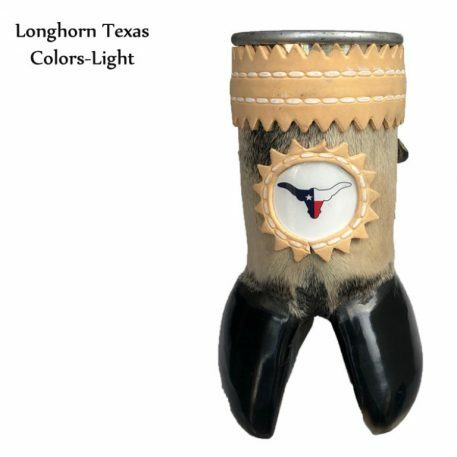 Each cup/beverage holder is uniquely made and the bull’s hoof color, pattern and size can vary slightly.